NB: Participation to the event is free, but given the limited space and the possibility of “jazz improvisation” in parts of the schedule please write in advance to info@pibinko.org or +393317539228 to let us know when you may show up. The pibinko.org network, in collaboration with Hotel Lombardi is organizing on Feb 22, 23, and 24 a set of experiences in Florence which will introduce you to a lesser known group of subjects operating since 2007 via the integration of rural issues, social innovation, communication technologies, and art. “Vedi cara” by Francesco Guccini, or Supermarket covered by the Metalliferous Hills ione della Jug Band dalle Colline Metallifere. Once the soundtrack is running, you can visit random sections of the pibinko.org site, with news, project summaries, media coverage and more. Or you can give ten minutes of your time to read the pibinko.org network 2018 activity summary (see link). This is not the first time that we are showing up in Florence. With some 130 presentations since 2008, we counted six or seven between Fortezza da Basso, Faculty of Agricultural Sciences, the Oblate Library, and the Casa della Creatività. However, this is the first time we will be bringing products, offers of services, and people to represent them. Antica falegnameria di Roberto Serragli, Scalvaia (SI), Birrificio 26 Nero, Poggibonsi (born in Scalvaia), B.M. Mechanical Works, Torniella (GR), Pietro Crivelli painter, decorator, and guitarist from Piloni (but born in Florence), Az. Agricola Ixtlan (Tatti, GR), Az. Agricola Pacha Mama (Tatti, GR), Farma Valley and Tatti community maps, citizen science with BuioMetria Partecipativa, Picasso Viaggi (Venturina Terme), palla a 21 (o palla eh! 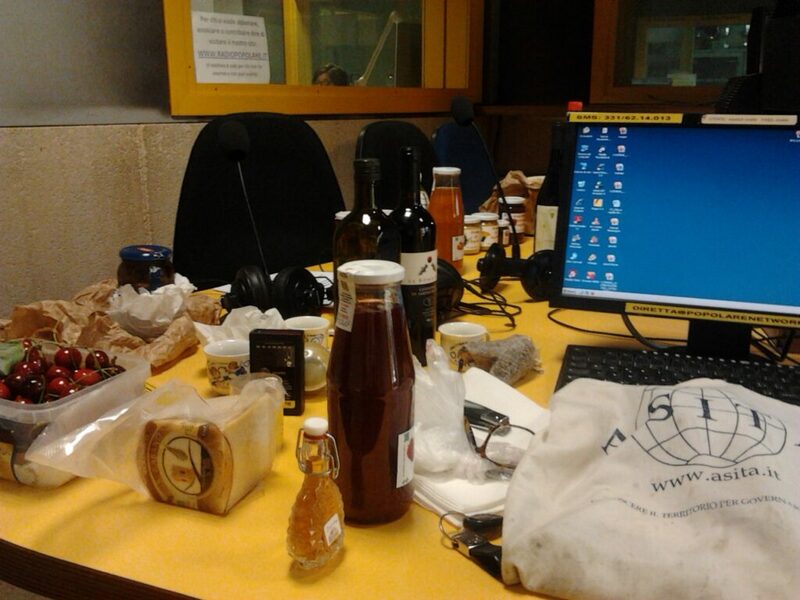 ), the game of panforte, the Metalliferous Hills Jug Band, IRIS Ambiente from S. Casciano V.P., hand-made prints and bread by Tattistampa, Etruschi from Lakota, Tana del Bianconiglio, Az. Agricola Loriano Bartoli (Pian d’Alma, Scarlino), Fabio Bettio from the Centre for Research, Development, and Advanced Studies in Sardinia, Bar Moderno Roccastrada, ASD Boxing Club Firenze. A “linear” version of the same items will be the core of the pibinko.org presence during the fifth edition of TourismA . This is a national exhibition about archaeologic and cultural tourism, being held in the same days at the Florence Convention Centre. On the morning of Friday 22 pibinko.org will attend as a seller the “Buy Cultural Tourism” B2B session. On Saturday afternoon, pibinko.org will represent the network in a session on community-based management of cultural heritage. With these subjects, since 2007 we have been working to promote and protect various lesser know assets, leading to interesting results in the combination of socio-economic impact, media coverage, and international research and technology transfer collaborations. 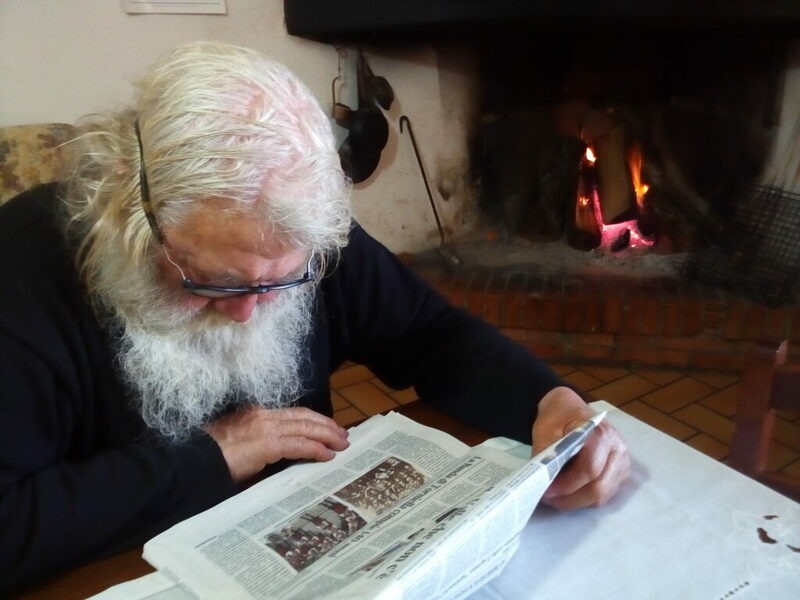 Babbo Natale legge uno degli articoli sulle nostre storie (dicembre 2016). The most progressive part of the event will in fact be held outside of TourismA, at Hotel Lombardi. This is run by Vincenzo and Valeria Albanese, originally from Torniella (one of the villages involved in our network), and is just a few steps away from the Florence Convention Centre. The hotel will serve for a couple of days as a demonstration and tasting space, allowing the public to learn about a series of experiences and subjects which are very difficult to meet, unless you are willing to dedicate several full days to explore a remote part of Tuscany (having in parallel the possibility of learning about connections of these places to Sardinia, Milano, free-open source geomatics and rock blues). This initiative is intended to re-propose in Florence the third Farma Valley Winter Fest, held on Dec. 14-15-16 2019 in Tatti, Piloni, Torniella, and Scalvaia, integrating it with the presence of additional subjects from the Florence area. Below is a schedule summarizing options to make contact with the pibinko.org network. Sat. 23: until 6PM in the TourismA space. From 6PM to 8PM at Hotel Lombardi, with some tasting of typical Southern Tuscany products (reservation required at info@pibinko.org or +393317539228 ). 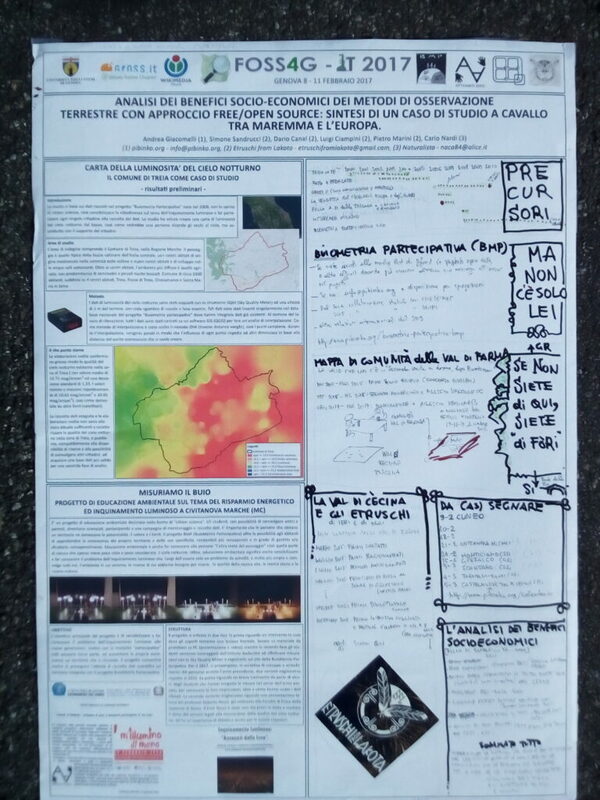 On the right side of this poster, a version of the pibinko.org network story as of February 2017, at the FOSS4G-IT conference in Genova.